This deep blue and gold ceramic table lamp base only is absolutely stunning and highly glazed body in a deep majestic blue, with a gold glaze that creates a golden gleam when lit. The base stands on a turned wooden plinth. 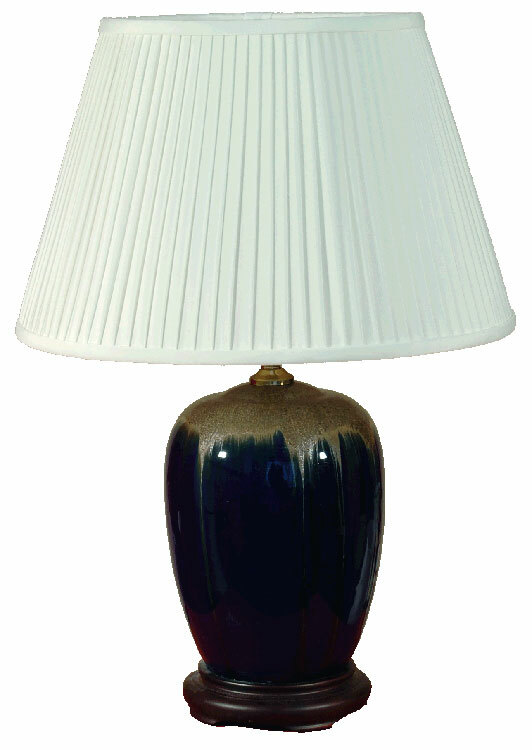 Height 12″ to the lamp holder and available with a lampshade if required please see below for details.